LA burger chain The Counter has added wine milkshakes to its menu. The milkshakes, inspired by classic desserts, are being blended at select Counter restaurants across Los Angeles. According to their creator, the wine helps to cut through the sweetness of the shake, with the flavour milkshake-like to start, but with a wine finish. 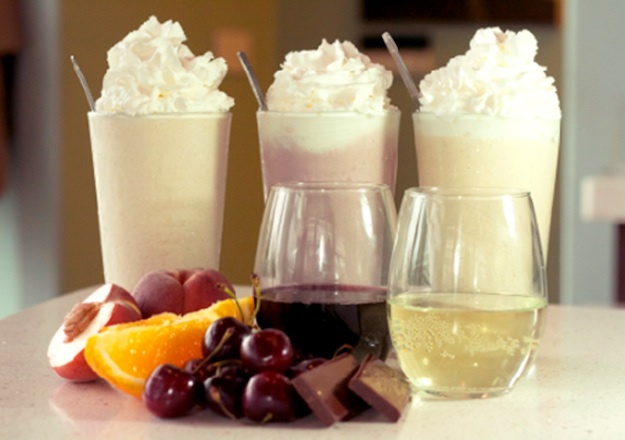 The burger chain is offering three flavors: Pinot Noir, featuring cherries, chocolate and vanilla ice cream; Sweet Peach, made using sweet wine, peach nectar and vanilla ice cream; and Mimosa, featuring sparkling white, orange juice and vanilla ice cream.